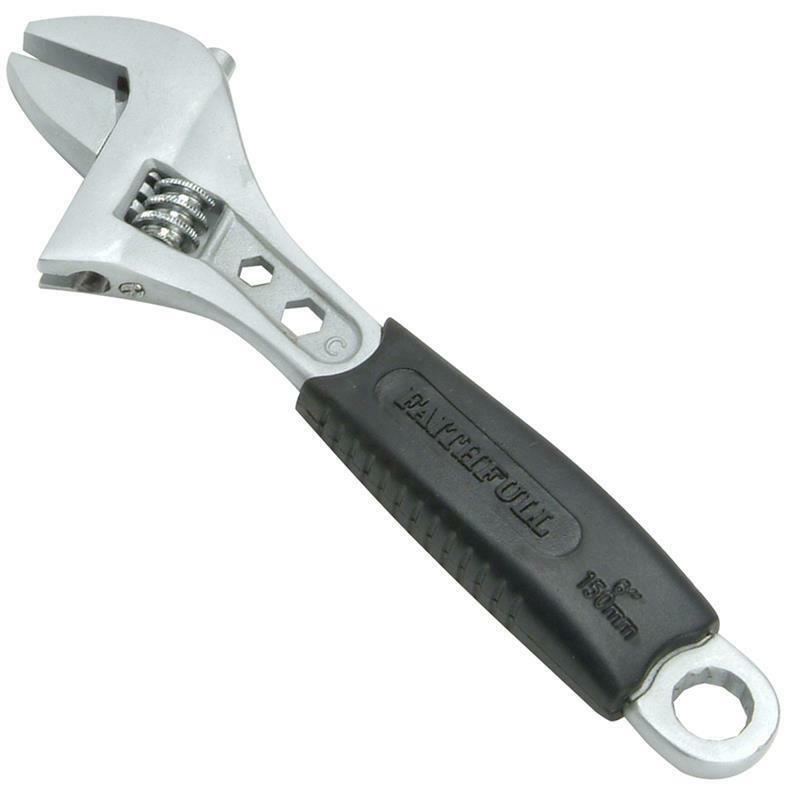 A range of adjustable wrenches with a ring spanner built into the handle. The drop forged construction and the moulded soft-grip handle combine strength with comfortable use. 150mm (6"), 200mm (8"), 250mm (10"), 300mm (12").